TJHSST (Thomas Jefferson High School For Science and Technology) is one of the country’s best STEM high school located in Northern Virginia. Our comprehensive TJ prep class helps prepare junior high students for the rigorous, competitive TJ admissions tests. Enrich your skills early on! Get ahead of the game with our TJ Prep class. Maximum of 12 students per class. Our TJ prep course is taught by state-licensed teachers that specialize in Math, Science, Reading & Writing! Boost your English, Science, Math and Social Studies grades. We will teach concepts that you haven’t learned at school yet. Read like a writer. Learn the research-based techniques and goals of writers that will help you increase your reading comprehension, speed and stamina. If you have hated reading in the past, you will like it this time in our TJ prep course! Boost your critical reading skills. Learn the revolutionary reading strategies that you can apply for life. These skills are likewise applicable to passages in SSAT, PSAT, ACT and SAT. Learn experimental design solutions to problems. Look at experiments with a critical and analytical perspectives to solve problems. Learn insightful reading constructed responses. These are the skills that will help you score high in Reading Aspire and SAT. Learn various essay writing genres. You will love writing this time! Learn how to detect different types of prompts and write essays for TJHSST, AOS and AET semifinal rounds within 30 minutes. Boost your Math Problem Solving Skills. You will not only learn the test format and content of Math Quant Q but strategies, techniques and the art of math problem solving. Learn in advance some Geometry, Algebra 2, PreCalc and other selected high school math concepts. Enhance your Science analytical skills. Learn how to answer those tricky constructed responses in Science Aspire and look at experiments differently. Test-Taking Strategies. Develop time-management skills and organizational skills that you can apply in Reading & Science Aspire, Math Quant Q, PSAT, SSAT, ACT and SAT. Realistic Practice. Get a feel of how the real tests would look like in a simulated-testing environment on a content developed and compiled by our own team of state licensed teachers and curriculum developers. Progress Monitored. Track your progress on specific topics and areas though quizzes, guided practice, independent practice, assignments and three full-length practice tests. Customized. Tailored to your score goals, strengths and needs. Instructions are adapted to your child’s learning needs. Unmatched expertise. Learn from the state-licensed teachers specializing in Math, Reading & Science. Free Counseling. Counseling on the TJ Final Round Process and the complexity of the Teacher Recommendations. We have developed a support system that helped our successful applicants in the past to get into the final round! 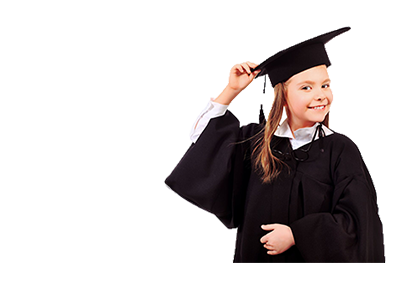 We will honestly give you an assessment where your child’s skills are compared to the average norm, and if your child’s skills would be suitable for a rigorous STEM school. Weekly Assignments for Concept/Skills & Reinforcement. The new sets of the TJ Admissions tests have changed. TJ prep is not as simple as it used to be, but we have you covered. The new tests require far more analytical and critical thinking skills that your children get from their classrooms. Most of these skills are high school standards. Full Length Mock Tests – Reading Aspire, Science Aspire, Math Quant Q, Math Problem Solving Essay and Student-Authored Information Sheet. TJ Prep Class Structure and How It Looks Like. Course syllabus, materials and assignments will be distributed to all enrolled students through our course dashboards. Reading, Math, Science & Writing alternate every week. The class starts with explicit focus lessons, followed by guided practice and independent practice. There will be homework every week to reinforce the strategies and concepts the students learned in our classes. Session 1 – Reading Strategies. Reading Aspire Constructed Responses. Types of passages and types of questions in Reading-Aspire. Learn the research-based methods to become strategic reader, to enhance critical and analytical reading skills and to develop the love and passion for reading. Session 2 – Quant Q Math Critical Thinking and Problem Solving Strategies. Types of math questions and techniques that will most likely appear in Math Quant Q. Learn advanced math skills and use these skills that you will learn from us in applicable math competitions. Session 3 – Science. Science Aspire- Constructed Responses. Types of science passages and types of questions in Science Aspire. Learn scientific method and investigations from an analytical perspective. This will change the way you look at Science. Session 4 – Writing. Math Problem Solving and SIS. Learn the six traits of writing (ideas, organization, voice, word choice sentence fluency and conventions). Write your essay within 30 minutes. Reserving a spot. Your spot is guaranteed once we received the partial or full payment of the invoice that we sent via email. When you checkout online, please indicate “check payment”. Wait from the Quickbooks invoice sent to you via email. Diagnostic Test Fee Serves as a Deposit. Your child has the option to take the Mock Tests ahead of time. The fee is deductible towards a purchase of a Comprehensive or any TJ Intensive Classes for 8th graders. Please sign up through our website and choose check payment to schedule the Mock Tests. Taking the Mock Tests is not an assurance of a spot in the class. Flexible Grouping. We use flexible grouping to differentiate and individualize our instruction based on the results of the students’ mock tests, quizzes, timed practice tests, homework and their overall progress. Student Dashboards. All homework, quizzes and practice tests are housed on a student dashboard for tracking and progress monitoring purposes. All our materials are only made available for enrolled students for proprietary reasons. We can also accommodate one on one tutoring at an extra cost. Missed Classes. All the TJ prep materials and class notes are housed on the student dashboards so your student can go back to it at anytime. If you want to have a make up session, feel free to schedule an individual test prep tutoring to cover for the missed discussion at an extra cost ($95 per hour). *All students need to bring their own fully-charged laptop to classes.